I loved this shot! It was taken by Jim L., sailing committee co-chair, from the new club chase boat Canarsian, during the July 16th sailing cruise. I came THAT close to not going, I'd worked pretty hard during City of Water Day on the 15th, and the forecasts I'd seen for Sunday didn't feature much wind, but sailing co-chair Holly did a little arm-twisting on me (and she and Jim were able to pick me up, having a ride makes a difference) and I'm so glad she did - it ended up being perfect conditions for the first sail of the season, nice light winds early on during the re-combobulation period, picking up to just enough more for a great run home after our lunch break on Ruffle Bar. More pix on Flickr, click here to view. City of Water Day - a few more pix, and a great album (with stats) from a friend! Wow, don't know what happened to last week, I'd meant to put these up much sooner. I didn't end up taking that many pictures during City of Water Day because after a slightly slow start, things picked up and I was helping out all day, either on the water or getting people onto and off of the water. However, here were a few pictures I did take - and then clubmate Chris B. was on land all day and he got a ton of great photos, which he shared in a Google album which he prefaced with the thank-you email sent out by Barbara T., who was our amazing organizer for the day. That email included the final statistics for the day, which were pretty impressive! Click here to view. When we're throwing a shindig at Sebago Canoe Club, there's always that early-on "what if we have this party and nobody comes?" moment. Especially when the day starts out kind of gray and drippy. Once again, folks showed up! Ended up being a really good day. Sunday was Family Day at Sebago! Children of all ages were welcome; smaller kids and their parents went in the restored war canoe, with smaller canoes and kayaks for older kids and their folks. We did a short paddle, just out into the bay, with a stop on the beach just outside the basin for running around on the beach, water gun fights (note for next year: MORE WATER GUNS) and a couple of sweeps with the seine net to see what's living in the bay. Mostly little fish this time; we checked them out then let them go. After that, we headed back to the club for a barbecue/potluck lunch. There was also a double-hander workshop going on for the dinghy sailors, and there was a longer member paddle in the morning, and one of the sailors tried a rowing shell of the non-entry-level variety, so there was swimming, too! :D Something for everyone! I hadn't planned on this but came to help out with the war canoe, thinking a little practice immediately after Saturday's lesson would be good. I ended up helping out with the kayakers instead, but I was still glad I went, it was lots of fun. That was part 3 of my Sebago trifecta weekend, and I really had a good time. 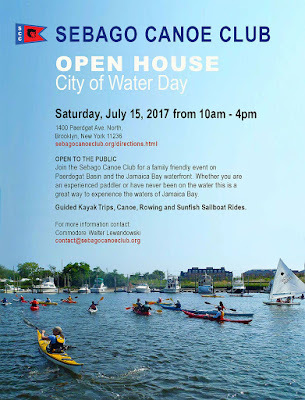 Hey NYC-area folks - don't forget City of Water Day, this Saturday, July 15th! Going a little out of order, here's Part 1 of my big trifecta Sebago weekend. Part 2 was, of course, that spectacular full moon paddle, but before that, I participated in a War Canoe Steering Workshop, run by canoe committee chair Dan Olson. Sebago has two of these classic Old Town 25' wood and canvas war canoes. We don't use them very often these days, but they do get brought out on days when we're likely to have families with children who are too young for kayaks coming out for a paddle, events like Sunday's Family Day (more on that later) and this coming Saturday's City of Water Day (come out and play, things are going on all over the waterfront!). For this purpose, they're perfect - with a knowledgeable paddler in the bow and stern, you can take out at least 8 novice paddlers - more if there are some extra-little ones. It's a big, stable boat, they can go over but it's unusual for that to happen as long as everybody in the boat is more or less behaving themself. They were also traditionally used for racing at the club; as they got older, that lost popularity, but one's now been beautifully refurbished and if we end up doing the other one, too, that could be a fun tradition to reinstate. I'd been the bow person in one of these boats once, back in 2015. I had no idea how to do it properly, but we had a family show up to City of Water Day late; we were already putting boats away, but the war canoe was still in the water, and commodore emeritus John W., who is a very experienced canoeist, was willing to take the stern if anybody was up for taking the bow. I volunteered, I didn't know the proper way to do it but I know the basic strokes, and the person in the stern calls the shots, so with John giving me good directions, we were able to take the latecomers out for a nice spin on the basin. 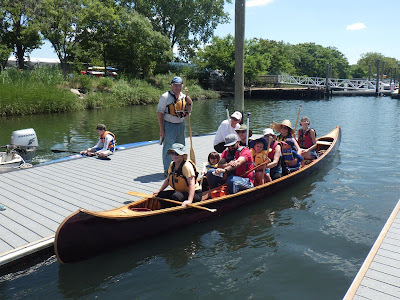 When Dan announced the workshop, I thought it would be fun to learn how to do it right - and besides, this was the first official outing of the war canoe that the club had had restored this year! That was pretty exciting - we've had these canoes for a long time, and they've been cared for, but not with much skill. They were terribly heavy, somebody had told me that at some point somebody had fiberglassed them, which turned out not to be true, but apparently there were many coats of polyurethane to be stripped. Click here for an excellent writeup of the history and restoration of Sebago War Canoe #1, by boatbuilding chair Jim Luton. The workshop was good fun! I always enjoy learning a new boating skill, and Dan was a good instructor. 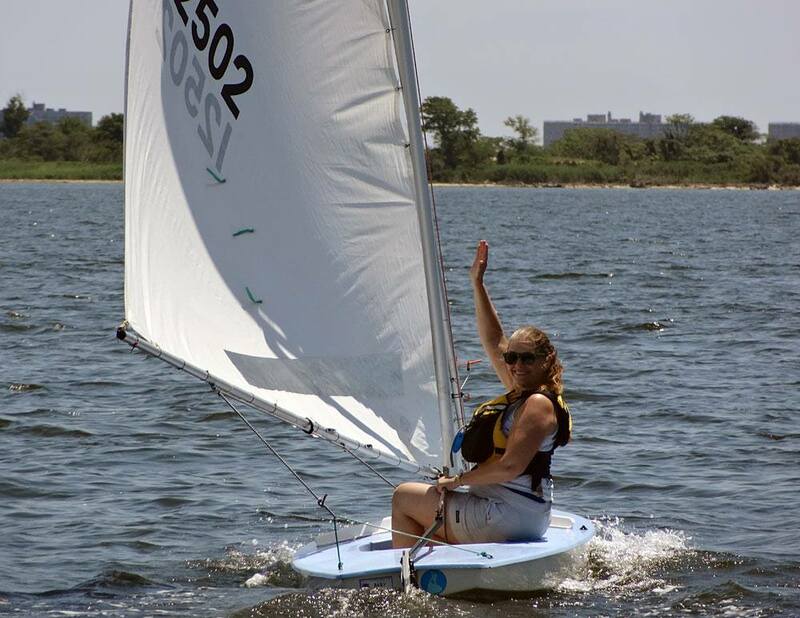 It was a little bit breezy, which actually wasn't a bad thing, it was nice to actually have something to work against while practicing, and this was a good time to do it (better than learning on a calm day and then having things kick up on City of Water Day with less experienced paddlers). We all got to take turns at both bow and stern if we wanted to; I did both, it was nice to get some pointers on how to do the bow steering with proper technique, as opposed to just muddling through as I did that one time with John. It was also really interesting being in the stern and suddenly having so many paddles to co-ordinate - that was very definitely something new and different! I put my clubmates through their paces trying all kinds of different stuff, and then Dan also had me just let them paddle forward and see how much control I had over the boat by myself from back there. It was a fun day out in a handsome old boat, and I do hope I get to practice some during City of Water Day! Here are a few pictures from the day. Click on any photo for a slideshow view, or click here to see more in Flickr. I thought that today's post would be about a great learning experience at the club yesterday involving a newly shiny old boat (if you're FB friends with me you've seen it), but I ended up going to the club to help out with Family Day. That was tons of fun and then when I got home I had some stuff to do (including taking a nap!) so I'm going to go a little out of sequence and share pix from the wonderful Full Moon Paddle on Saturday night. I'll come back to learning to steer the war canoe (plus the rest of Colorado, I still haven't posted some of the best stuff from that trip) later. It was so nice that the full moon fell on a weekend this month! 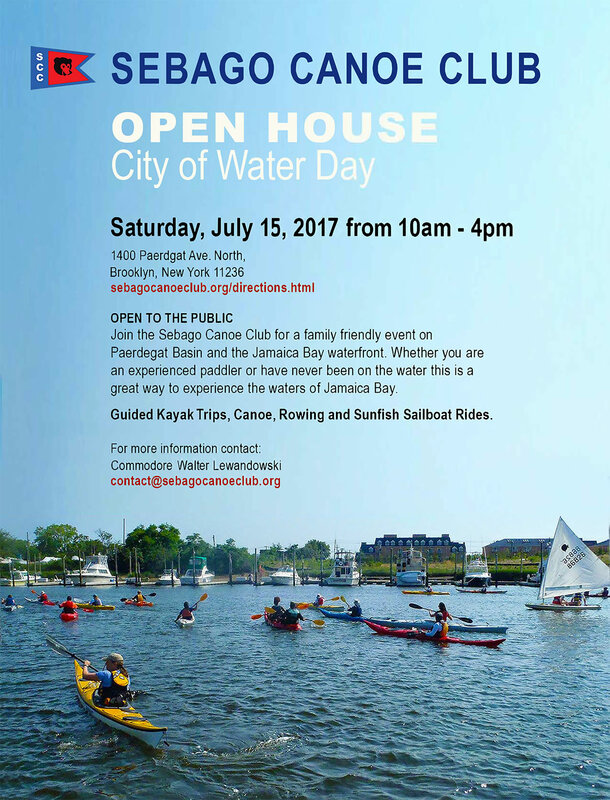 We launched just as the moon was rising and paddled about six miles, pausing to watch a helicopter land at the Floyd Bennett Field police air station, and enjoying a couple of late 4th of July fireworks displays on our way to the club for the customary Sebago snacks and libations. A beautiful night, thanks to official club mermaid Vicky M. for leading us and arranging such great entertainment! And that's all the writeup I'm going to do, here a some photos, click on any of the pictures for a slideshow view. Enjoy! How Does My Garden Grow? Early July Edition - plus, coming attraction! Well, it's not shaping up to be my best garden ever. I planted in May, just before I went on vacation. When I left there were lots of chard and beet sprouts coming up in the big empty space, and I had a couple of friends lined up to water in case it was dry. Unfortunately late May and early June rollercoaster weather with big temperature swings and heavy, heavy rains. The pole beans didn't seem to care, the tomato plants just didn't grow much, ditto for the basil, which also got to looking seriously sad and wan, but survived, but it was apparently all a little too much for the beets and chard that usually take up that middle swath there. There are a few coming up but nothing like usual. I might start another round of seeds at home, now that the big office move is over I'm hoping I might be able to start getting out to the club on weekdays a little more. I did get out to the club a little early on Tuesday so I could do a little gardening before the evening paddle. The weather's settled out into some more normal east coast summer weather, the basil has definitely cheered up, and I got to eat my first Sungold cherry tomatoes of the season! We did have some huge downpours today, weather.gov shows one one-hour span today that had 1.34 inches (yikes, the general rule of thumb I've heard for water quality is that if it's rained more than an inch in 24 hours, a paddler would be wise to avoid immersion for the next couple of days, ugly things happen when the city's drain gets hit with too much water at once - I'm paddling tomorrow but my plan will be to stay right-side up, no refreshing rolling or bracing), and then tonight I was in the kitchen cooking haupia to share at the club tomorrow, rattling pots and pans and playing music, when I heard this strange hissing noise. First I thought it was something boiling over on the stove but it turned out to be the sound of the rain that I was hearing all the way from out the living room, where I keep a window open. Wasn't coming in or anything, just falling so heavily! The other garden pictures are of clubmate Tracy's plot, she grows flowers and strawberries and the flowers were just looking so lovely in the late afternoon sun. The bees really appreciate her flowers! And the last picture? Well, that's something I'm very excited about, tomorrow is going to be a great day at the club. Also a late one so I'll probably post about the day on Sunday. It's going to be great, though! July 4th 2017 At Sebago - The Best "I'm Not Promising Any Fireworks" Fireworks Paddle Ever! Victoria and Steve and a "Fireworks? Who needs fireworks?" sunset. Or at least that's what I said. Little did we know...! Click here for a Flickr album of this amazing evening on Jamaica Bay. Steve the Paddling Chef, a great Sebago member who I've written about fairly frequently in this blog (search the blog under "Paddling Chef", you'll see, he's great!) runs a popular Tuesday evening paddle and potluck series at Sebago during the summer months. I've never been able to attend as much as I'd like to as it's kind of time consuming for me to get to the club from work and I just can't generally be there for the usual 7 pm launch. Unfortunately, Steve recently broke his wrist, so while he's healing, the Tuesday night paddles are on hold unless other trip leaders can take them on. I'm handling the kayaking portion of the Sebago calendar this year, and last week, I was about to take down the series, to be replaced on a one-by-one basis as folks stepped up to cover, when I realized that the next one was the 4th of July. I had the day off, I'm a trip leader, I was totally up for a Tuesday evening on the water - woo hoo! So instead of taking the series off of the calendar, I sent a notice that the one on the 4th was ON! I decided to stick to Steve's usual scheduling, gathering at the club at 6:15ish, launching at 7, back to the club 9/9:30 ish. I'd gone out on the bay on a 4th of July paddle once a few years back, and my recollection was that there were fireworks displays in various directions, but all off in the distance, and that was what I said on my invitation - "There won't be any fireworks particularly close by but there's a chance of multiple displays off in the distance". Folks immediately started signing up (woohoo again) . At some point somebody said they wanted to come on the "fireworks paddle" and I reiterated that I couldn't promise any fireworks. Despite all the CMA notes about fireworks, probable lack thereof, I got a nice turnout. The weather was looking great, we've been having a hot and sticky spell here, standard east coat summer weather, but it had mitigated slightly on Tuesday and as the sun sank lower in the west, it got pleasanter and pleasanter. We launched a little after 7. I'd suggested going around Ruffle Bar, one of the islands in the bay, which is a nice distance for an an energetic evening paddle. Folks were up for that and so we set off. I was trying to keep the group reasonably tight, because on a holiday like the 4th, you do get some extra motorboat traffic. At some point I looked back to see how the folks at the back of the group were doing and - OOOOH. The sunset was beginning to show some major promise. I called to the folks in front to look back, and they all went OOOOH too and we just sat there and gawked for a bit. That just sort of kept repeating itself as we went along and the sunset got better and better. Finally, as we were having another ooohing and aaahing break just south of Ruffle Bar, one member of the group suggested that we skip the "going around" bit in favor of turning back, which would let us paddle towards the sunset and enjoy it instead of missing some of it while continuing south. "Esthetic considerations" were mentioned, I had already been having second thoughts about telling everybody "OK, now let's turn away from this beautiful show and keep going, because I SAID SO! ", everybody else liked the idea too, so that's what we did. And it was grand. And then, as the sun went down, the fireworks started going on all around, many of them much closer than I'd expected - like right in Canarsie and Mill Basin and Marine Park! We suspect that a number of them might not have been, uh, city sanctioned, but it was hard to tell the professional public displays from the backyard ones - either way, it made for an utterly and unexpectedly spectacular end of the paddle. I never quite got a final count, but I think there were between fifteen and twenty going on that we could see out in the bay, plus a couple more very close to the Paerdegat. Back at the club, we had what turned out to be a completely vegetarian smorgasbord of goodies. This was totally unplanned, I am NOT a vegetarian, and if you suggested a 4th of July feast that didn't involve cheeseburgers or barbecue, I might not jump on that, but the range of dishes people had brought made it absolutely great, and I ended up loving it. There were so many different good flavors -- quinoa salad, greek salad, chickpea salad, fruit salad, potato salad, my own pasta salad made with pesto made from my own Sebago-grown basil (the last of last fall's batch from the freezer, still good), berries with whipped cream, a delicious watermelon, and then we polished off the desserts that were left in the fridge from the safety boat christening over the weekend. It was all so good, and of course I brought a box of wine in honor of our amazing late commodore, Tony. Such a great evening, I'm so glad I decided to do it - it went so much better than I'd expected it would. The post about the Denver Museum of Nature and Science will once again have to wait, we had such a fine and festive day at Sebago today that I must share it right away. We have a boatbuilding committee at Sebago these days; this is a development that happened within the last couple of years, with sailing committee co-chair Jim Luton serving as the chair. Jim is a highly experienced professional woodworker, and with his guidance, beginning in May 2015, a group of Sebagoites has built an absolute stunner of a new workboat for the club, a Point Comfort 23 skiff, built from plans by boatbuilder Doug Hylan (look under design/stock plans for more information about the boat). A clubwide contest and vote last year resulted in the name Canarsian (suggested by Howie, one of the folks who spent the most time on the build), and today we had a wonderful gathering at the club for her christening. The festivities started at 11:30, and today's weather looked good, so I called for an early morning paddle, launching at 8:30 and returning around 10:45, plenty of time for us to wash our boats and gear and have everything put away. Jim gave a very nice talk in which he named everyone who'd been involved in building the boat, with extra shout-outs to other Sebago folks who'd been particularly supportive - Norman, who towed the boat to the place where they installed the motor, Commodore Emeritus John W, who made sure the boat shed wood stove was properly fueled all winter, Holly (Jim's wife and sailing co-chair), who did the lettering on the boat and also dealt with the considerable hassle of getting her registration paperwork done, and so on. Jim even gave kudos for "Most Supportive" to the guy who's been been working to get more people into the club's racing committee, good stuff - he's at the club for training all the time and any time the boat builders were there, he would visit to see how things were coming along. After all the accolades, we went on down to the dock for the christening and a champagne toast to our lovely new boat and her builders, all done in high style with Moet & Chandon and Veuve Clicquot. Nothing but the best for Canarsian's debut! Jim then took folks out for rides for a while, and since I'd brought my good camera to take pictures, John D., one of the club's sailors who's certified to drive Seagull, our old safety boat, a Boston Whaler we have on loan from the Parks Department, suggested that he and his son and I go on a little photographic chase boat excursion. I loved that idea, I took photos of the first two excursions, and then actually drove for the third one, which was lots of fun. I'd gotten my NYS boating safety certificate a few years back with the idea of learning to drive Seagull, but then never practiced; today's driving meant I missed riding in the new boat, but I made that trade willingly, I was glad to get a chance for a little properly supervised practice and pointers. Plus I got some nice shots of the first two groups that went out for rides! The day ended as most really good days at Sebago do - with a good potluck. I couldn't have asked for a much nicer day. Click here for a Flickr album from the day. Want to learn more about the building of Canarsian? Jim reported the process from beginning to end at the Wooden Boat Forum. Enjoy! Today's post was going to be Thursday in Colorado - A Day at the Denver Museum of Nature and Science, but we have a big day at the club tomorrow with the christening of our amazing new hand-built safety boat, the Canarsian (congratulations Boatbuilding Committee on your successful first effort!) and I volunteered to lead a morning paddle before that, and need to be up quite early for that - so instead, here's the picture of the coconut trophy I was bragging about winning the last weekend! One of my friends had asked to see it, so here it is. The shark is from a Ke Aloha Outrigger gathering that I got invited to last year - the shark was part of a drink called a Shark Bite, he got filled up with grenadine and plunged into a light-colored rum drink for a great blood-in-the-water effect, and of COURSE I had to take him home.